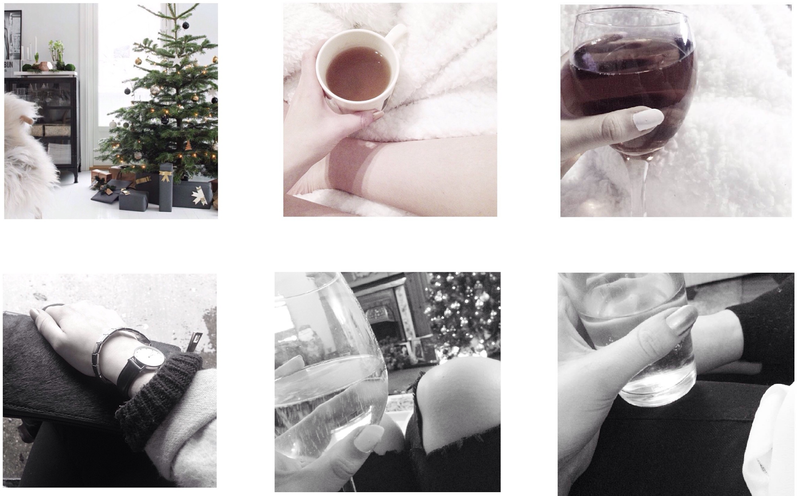 So yes I haven't blogged in weeks now and how cliché of me blogging right after the New Year. I don't really have a reason for stopping blogging other than feeling distracted and uninspired. I was not appreciating the things I had and I was not really feeling myself and for some reason that also resulted in me taking it out on my blog. But now I am back and feeling positive and happy for all things in my life. I, like most people have New Year resolutions ( even if you don't keep them it's still good to at least try) They are the usual - eat better, exercise more, be more organised, blog more, blah blah blah. So I had a great New Year celebrating with friends and then a perfect New Years day (but also hungover and sleepy) with my boyfriends family and food (lots of food). I really have had too much food and alcohol this Christmas not gonna lie - so I really should stick to the eat better resolution... I have also been really lucky this Christmas. I'm kinda sad it's all over. Hope it's a good 2015 for everyone. Glad to see you back sweetie. Sometimes we just need a break!